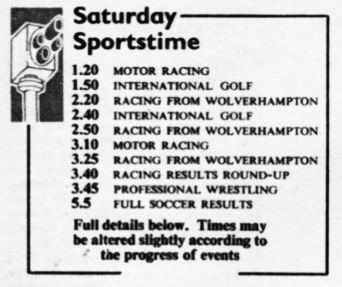 Saturday’s sports service on ITV had tried several formats. 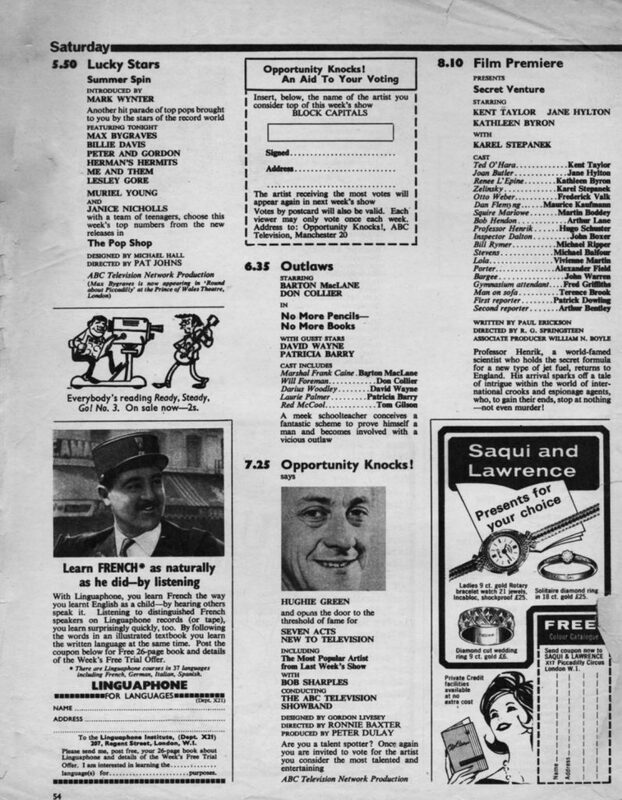 The main issue was a difference of opinion between ATV London and ABC in the Midlands and North as to what Saturday daytimes were for. ATV wanted to reach a family audience. 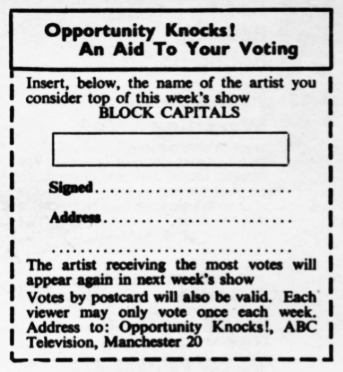 ABC wanted to compete with the BBC’s Grandstand for the eyes and ears of the male audience. ATV believed that the most money was to be made from the largest audience. 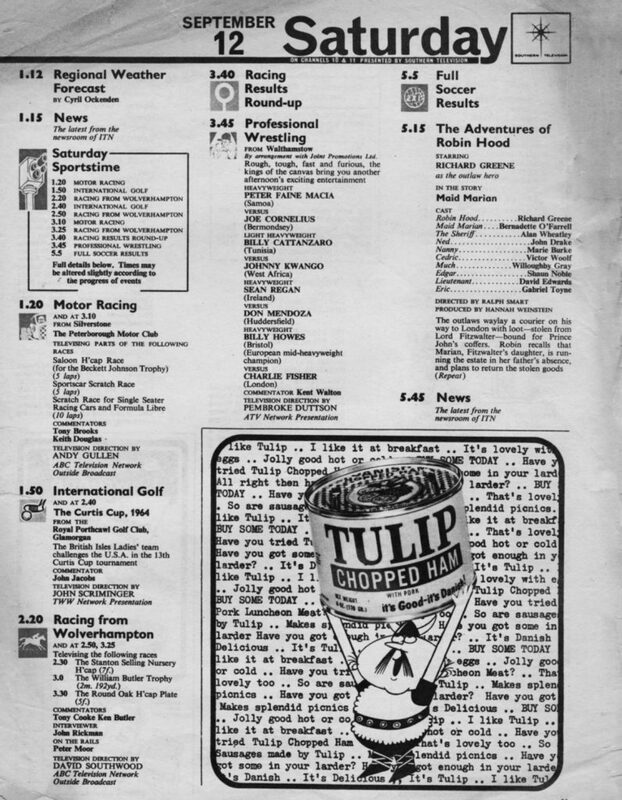 ABC thought that Grandstand would steamroller any light entertainment on ITV in this slot; and, anyway, advertisers needed a different proposition on Saturdays because the shops were closed on Sundays. Reaching the pockets of the kids and the brand awareness of the housewives just as they wouldn’t be able to buy anything was pointless. The regions at first went their own way, but by the 1960s had hit upon Let’s Go, which mixed sports reports with light entertainment from the ATV-ABC joint Aston Studios in Birmingham. But the mixture – going from football to a cartoon to swimming to a fashion parade – really didn’t work. In lieu of a better idea comes Saturday Sportstime. This is an overarching title for separate programmes, throwing back to the regions for their own continuity if they chose and allowing for companies to opt in and out of individual elements. This also didn’t work very well, so in 1965 ABC came up with a proper rival for Grandstand, World of Sport, and poached, to huge headlines across the newspapers, the BBC Light Programme sports presenter Eamonn Andrews to be the face of the new programme. There’s a full hour and 20 minutes of professional wrestling from Walthamstow at 3.45pm. This is one programme that did reach a family audience. Professional wrestling, with its heroes and baddies and general theatricals, was popular with everybody – especially older women, a hard group for advertisers to reach outside of the extremely expensive centre break in Coronation Street. It’s noted here as an ATV presentation, as it’s ABC cameras in East London but ATV money paying for the programme. Lew Grade and the other impresarios at ATV didn’t really understand sport – light entertainment was predictable, controllable and logical and left viewers happy; sport appeared to be a selection of random events with random outcomes that either left viewers ecstatic or depressed, with nothing in the middle. Professional wrestling, though, had all the hallmarks of light entertainment, with a predetermined outcome after set battles between goodies and baddies. That was easy to understand, and ATV was happy to get its chequebook out. 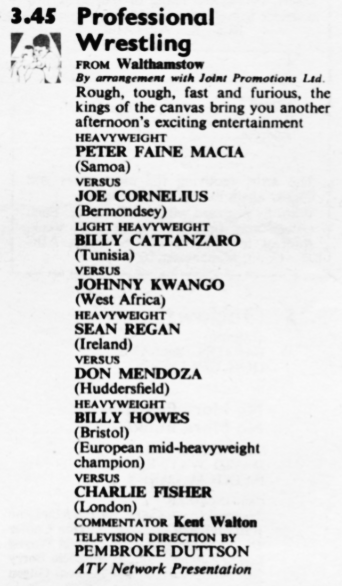 The commentator, as always, is Kent Walton, to this day remembered as the voice of British wresting. Light entertainment starts at 5.15pm with The Adventures of Robin Hood. 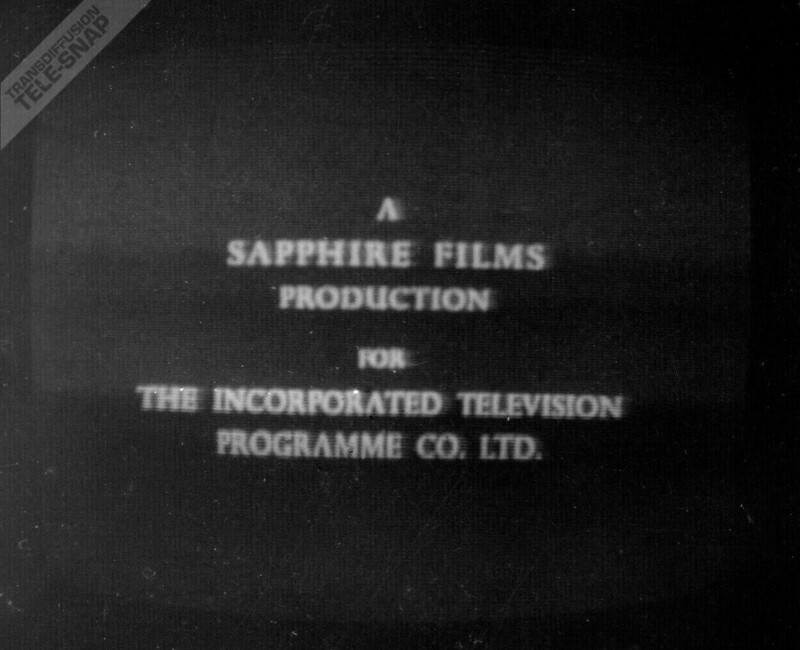 This series was made by Sapphire Films in the UK with ATV money in the run up to the launch of ITV in 1955. It took advantage of the Red Scare going on in the United States by hiring blacklisted television and film producers, directors and writers who were unable to find work at home as they were considered to be Communists, Communist sympathisers, friends with other Communists or simply would not implicate friends for being alleged Communists. This meant that the quality of series was high – these people were very talented – but also required the use of pseudonyms and separate prints removing real names for episodes that were shown on CBS. Southern appears to have looped round on the 143-episode series, as we’re at episode 5 of the first season, fully introducing the character of Maid Marian (she’d been a background character for the past two episodes) and completing the ‘Merry Men’ ensemble – one of whom having been introduced in each of the preceding episodes. Television pop favourite Thank Your Lucky Stars is on at 5.50pm, in its summer clip-show guise as Lucky Stars: Summer Spin. There’s no live audience; Mark Wynter sits alone in an armchair and introduces telerecordings from the winter/spring series of the ABC show. Dropped in the middle is The Pop Shop, allowing Janice “O’il Goive it Foive” Nicholls to talk about this week’s new releases, with Rediffusion’s Muriel Young for some reason, keeping the programme topical even while it throws back to repeat performances before and after. Opportunity Knocks! at 7.25pm is both old and new. Hughie Green first took the format to the BBC Light Programme in 1949, then to Radio Luxembourg in 1950. 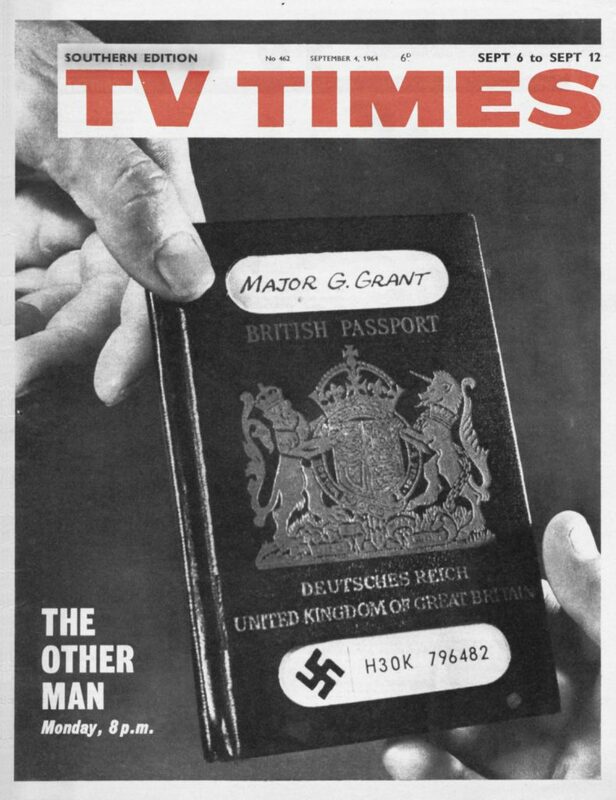 Upon the start of ITV, he made a series of it for Associated-Rediffusion, but it wasn’t a good fit with them. In July 1964 he took the format to ABC in Didsbury, and this time it proved a big hit. This show is number 10 of the 26-episode run this year, which is why the TVTimes is still explaining the format in the listing. OpNox! would run for 107 editions on ABC, followed by a further 341 on Thames, only coming to an end in 1978. Few episodes survive – even the 1977/8 series of 27 shows has left a mere 4 in the archives. Tonight’s film premiere is the 1955 B-picture Secret Venture. This was made at Nettlefold Studios by the American company Republic Pictures and is quite the potboiler, with two femmes fatale, swapped briefcases, codes, spies, a segment set in Paris but filmed in Walton-on-Thames, eastern European bad guys and jet travel, plus an American star to make sure it sold on both sides of the Atlantic. Sitcom time at 9.35pm with ATV London’s Fire Crackers. This series is set amongst a group of bungling village firefighters and the exasperated regulars in the town brigade, but with the unusual twist of having the village firefighters fighting crime as well as fires. If this formula sounds a bit familiar, it should – swap the firefighters for the Home Guard and the town brigade for the ARP and you’ve got Dad’s Army. For a 1964 comedy shot on video, it’s amazing to discover that all 13 episodes survive in the archives to this day. 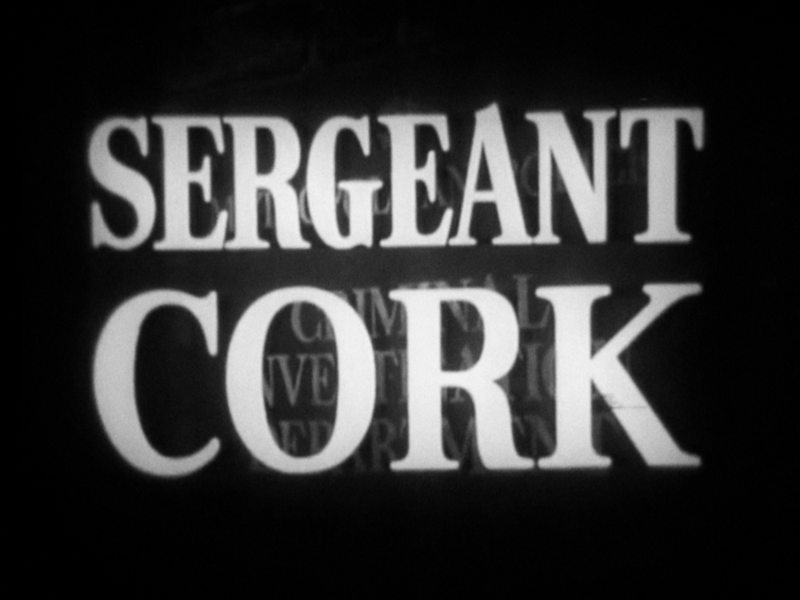 10.05pm takes us to Victorian London with ATV’s Sergeant Cork. This long-running series made a star of John Barrie, who had previously been a relatively minor player in films. There are a number of names in this episode who would go on to bigger things later. Peter Sallis was already well known and would continue to be a star throughout his very long life. William Gaunt was pretty well an newcomer but would rise up via ITC’s The Champions. This episode pulls out all the stops for Victorian London cliches, especially by throwing in opium dens. Alas, as was typical of the time, the main Chinese male characters are white blokes – Sallis and perennial bit-part actor Christopher Guinee – in yellowface. 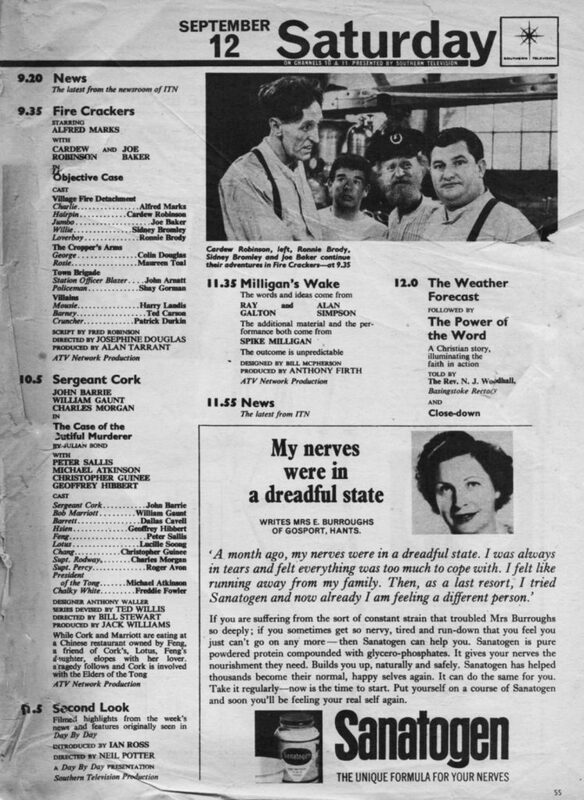 The 11.05pm slot on ITV on Saturdays was often used for a local programme, set against the otherwise ABC- and ATV-dominated network schedule before it. ABC used it for ABC at Large, its investigative journalism programme. 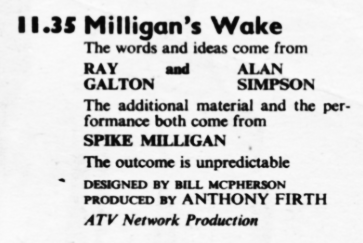 ATV London today are showing Galton and Simpson’s short-lived Spike Milligan vehicle Milligan’s Wake, which Southern knocks to 11.35pm. Instead, Southern uses the slot for a clip-show of the week’s Day By Day stories with Second Look, which seems to interrupt the flow of otherwise non-stop entertainment this Saturday night and might have been a bit jarring a contrast for viewers. The presenter is Ian Ross, later to be BBC News’s industrial correspondent during that notoriously quiet and uneventful period of industrial relations, the 1970s. Speaking of Milligan’s Wake, this series is almost entirely forgotten: Wikipedia doesn’t even mention it in Spike’s otherwise extensive filmography, and even the Internet Movie Database lacks a description and any other details beyond Spike playing ‘various roles’. Unsurprisingly, it doesn’t survive in the archives – if it did, it would, like almost all Milligan’s work, be revered – but an LP of sketches from the show was released by Pye in 1964 and is worth keeping an eye out for on the rare occasions a copy appears on eBay. Bristish born Joe Baker who played Jumbo in ATVs Fire Crackers, went to the USA in the early 1970s and appeared in films and TV shows such as Mrs Columbo, Fantasy Island, Highway to Heaven, etc.